I tend to be a very pessimistic person. I don’t really know why, but I’ve been that way ever since I was little. However it seems like lately so many amazing things have been happening that it’s hard not to catch the optimism bug. For so long I didn’t think I would ever get married, and I just did. The whole time I was planning my wedding I was assuming that it would turn into a huge chaotic mess, and it went smoother than I could have ever hoped. I had never traveled outside the country before and my Honeymoon to Quebec City went better than I could have ever imagined. Then I entered the Style Code Live Talent Search and I was selected as a finalist! My inner optimist is starting to peak out. So in the spirit of being optimistic, I wanted to ask all of my Starlets for a favor. If you could nominate Everyday Starlet for the Cosmopolitan Influencer Awards I would be forever grateful! 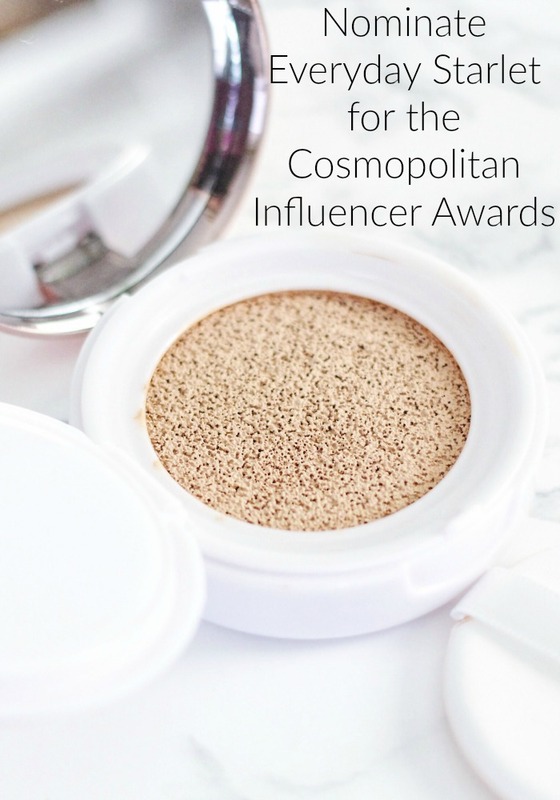 Just follow this link, choose “Best Beauty Influencer,” “Blogger,” my name: Sarah Blodgett, and this blog’s url. I have 20k followers total on all my social media channels. Then you can say something nice about me and about Everyday Starlet. I would really appreciate the support. My Starlets are the best supporters ever! …and you can call it a wedding present, wink, wink!